With a journey that spanned times of great change in the world around him, Hilario Santos, Sr. lived a life of purpose while holding his loved ones near and dear to his heart. He was a hardworking man if ever there was one, and his family was the driving force behind his determination to succeed. Hilario was blessed to share the majority of his life with his true love, and together they witnessed their family tree blossom to include numerous branches of loved ones who made him so very proud. Although he will be deeply missed, Hilario will never be forgotten. Life during the 1940s was anything but easy in Mexico. There was great division between the classes, strained economic times, and growing discontent among the majority of the Mexican citizens. 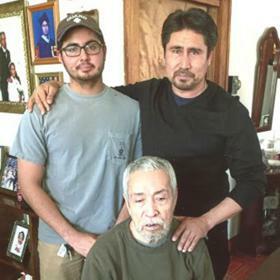 Despite the trials around them, Santiago Santos and Ascension Gomez were able to shift their focus to an exciting time in their own lives as they announced the birth of the baby boy they named Hilario on February 28, 1942, in Lagos de Moreno, Jalisco, Mexico. He was one of nine children as he was joined in his family by his four brothers and four sisters, Eulogio, Mario, Juan, Chon, Agapita, Lucia, Antonia, and San Juana. Hilario’s father was a farmer while his mother was a housewife and mother. He was raised in Mexico and served in the Mexican Army for one year.  New and exciting changes were in store for Hilario when he met the woman of his dreams. Her name was Guillermina Aguirre Sanchez, and they were married on January 6, 1962, in Tamaulipas, Mexico. He was 19 while his bride was only 16 years old. 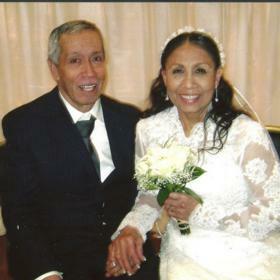 Not only did they share a life together, but Hilario’s greatest joy was when they renewed their vows on their 50th wedding anniversary in 2011. 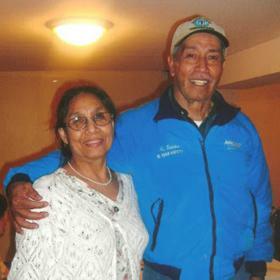 There was never anything of greater importance in Hilario’s life than his family. Together he and Guillermina were blessed with eight children including Jose, Jesus, Maria, Maria Del Carmen, Guadalupe, Maria Luisa, Paula, and Hilario Jr. 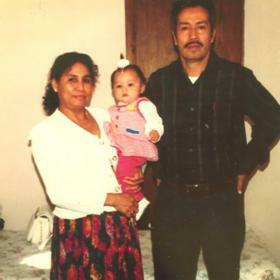 In search of work that would allow him to bring his family to the United States, Hilario came to the United States on his own in the early 1970s. His first job brought him to Delaware, but he continued his quest to find higher paying jobs and moved closer to the Midwest. It took him several years of hard work and saving, but by the mid 1970s Hilario had finally saved enough money to bring Guillermina and the older two boys to America. It wasn’t until the late 1970s that he finally found himself with a well-paying job at AM Cast in Cedarburg, Wisconsin, which ended his job search. It took another several years for Hilario to save enough money to bring his remaining children to the United States, but in late 1978 it was finally time. He left for Mexico with a small station wagon, packed his remaining children, and made the long drive to Milwaukee, Wisconsin, where the family was finally reunited. He continued to work at AM Cast as a welder/metal worker until retiring several years later. Hilario looked forward to vacationing every summer in Mexico. With a passion for fixing cars, Hilario loved buying cars to repair and then sell for a profit. He would spend hours in the evening working on the cars, and when the cars ran like "almost new,” he got a proud glow on his face. Hilario then often said, "Well done, self.” He then shared this joy with everyone and would offer to take the kids for a spin to see and hear his work. 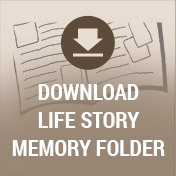 Hilario also enjoyed listening to polkas and nortenas, and around home he also liked working in the yard and gardening. Although he was a man of limited words, Hilario Santos Sr. loved others deeply and communicated this love through his actions and efforts. There was no one he loved more deeply than his family, and he sacrificed everything to provide them with the best life possible. Strong and resilient, he made the most of each and every day we was given. Life will never be the same without Hilario here, but he leaves behind a priceless collection of memories that his loved ones will forever cherish. Hilario Santos Sr. Entered into his rest on January 19, 2018. 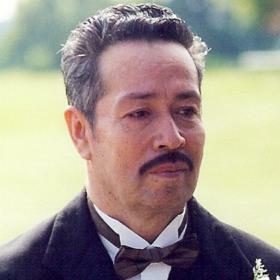 Hilario is the beloved husband of Guillermina Santos (nee Sanchez) He is the cherished father of Jose Santos (Juanita), Jesus Santos (Bernarda), Maria De Santos, Maria Del C. Espinoza (Gerardo), Guadalupe Santos (Delia), Maria L. Turner (Kenneth), Paula Scott (Prentis), Hilario Santos Jr. (Sarah). Loving grandfather of Guillermina, Yezenia, Ame, Jose, Paulina, Andres, Kristian, Francisco, Jose, Gerardo, Marco Antonio, Alexa, Ricardo, Anthony, Brianna, Gabriella, Zipporah, Uriah, Jose, Joshua, Marco, Marilena, Delicia, Prentis Jr., Andrew, Shaina, Angelina. Hilario is further survived by 10 great-grandchildren, brothers, sisters other relatives and friends. Visitation will be held on Thursday, January 25, 2018, at the Niemann / Suminski LifeStory Funeral Home 2486 S. Kinnickinnic Avenue Milwaukee, WI 53207 from 1:00 p.m. until time of the Funeral Service at 2:00 p.m.